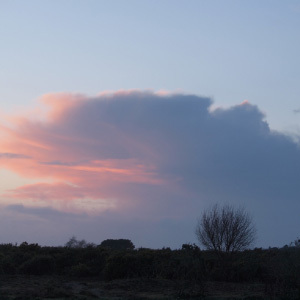 For a landscape of heath, mire and woods the New Forest offers exceptional public access. There can be few mainline railway stations in England that compare with Beaulieu Road for their capacity to allow visitors to walk directly out from the platform into a designated landscape. Several of the settlements in the New Forest are also directly served by the railway lines. For those who still feel the need to bring a car the A31 and A35 trunk roads cut through the landscape, giving millions of people vehicular access within an hour of their home. The Forest itself is also inherently accessible due to its traditional management based on commoning. Rather than being dominated by impenetrable cover by gorse, holly and bramble, the constant and extensive grazing produces an unusual open landscape within which invasive shrubs are grazed all year round, and the lower branches of trees are kept to the “browse line” above the heads of walkers. 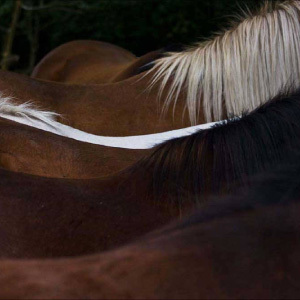 The whole landscape is criss-crossed by stock tracks, widely enjoyed by walkers and horse riders enjoying the tranquility of these tracks. The management of the open Forest for the welfare of the grazing animals also produces significant benefits for access. Crossings over streams and mires have to be maintained to be safe for the agisters and commoners to get to the animals, and to bring them in to the pounds during the annual “drifts”, or to commoners’ holdings when the need arises. Open “driftways” are maintained through the most challenging areas for stock management, and invasive shrubs that grow beyond what it manageable by grazing alone are cut or burnt in order to maintain the grazing and the special special habitats that this supports. More than 100 miles of gravel tracks, essential for Forest management, have been made accessible as family-friendly off-road cycle routes for quiet enjoyment of the New Forest by bicycle. Since the Verderers granted permission for cycle access on these routes, shared with the traditional open access rights for walkers and riders, several cycle hire businesses have developed around the New Forest, and maps and waymarker posts are freely provided to help navigation and keep bikes to the permitted tracks. The fact that commoners animals have right of way on Forest roads, which they use day and night whilst grazing, helps retain a sense of tranquility that makes them more pleasant to walk, ride or cycle than would otherwise be the case. 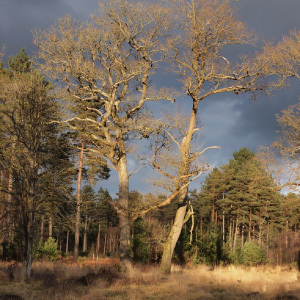 The need for the animals to graze very freely, which maintains the precious and rare habitats for which the New Forest is famous, has meant that all but the busiest remain unfenced and thereby keep a special feeling of rurality in face of the pressures towards suburbanisation. Fenced roads in the New Forest would be no different to those found elsewhere, and would quickly become unfriendly places for vulnerable road users. 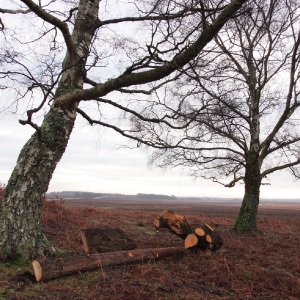 Defence of the traditional grazing has been a win-win for the special qualities of the New Forest and for those who come here to enjoy it. Without commoning there would be little argument against the enclosure of the landscape, as has happened everywhere else across southern England. 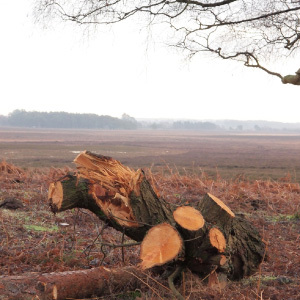 The New Forest as we know it, would be lost. Areas not given over to farming would need to be mown at considerable expense in order to maintain access, or left to revert to dense scrub. Grazing does, of course, produce some muddy poaching by livestock in the wettest months. 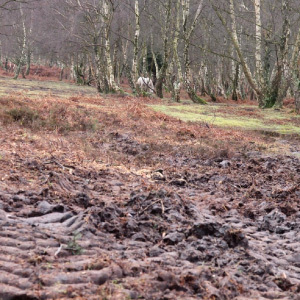 Indeed, this poaching is crucial to some of the rarest species for which the New Forest is now renowned, but variety of terrain combined with open access mean that poaching can be avoided by walkers and riders, and the trade-off in accessibility due to constant grazing must seem a small price to pay for most people. 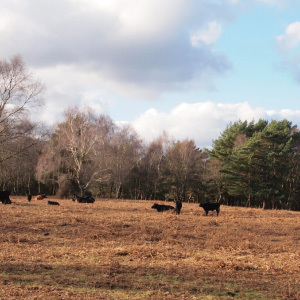 A comparison with the invasive plant growth often seen on ungrazed rights of way, which can make them all but unusable, shows the substantial access value of New Forest grazing by a mix of large herbivores.